Find the following for path A in Figure 3.54: (a) the total distance traveled, and (b) the magnitude and direction of the displacement from start to finish. In Figure 3.54 the various lines represent paths taken by different people walking in a city. 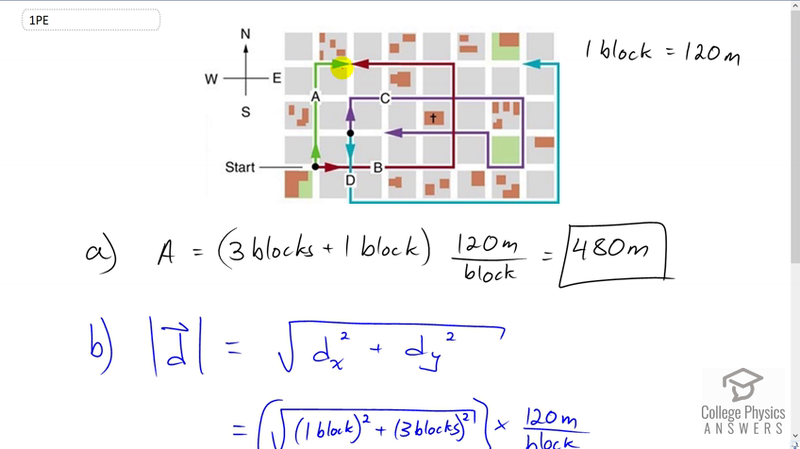 All blocks are 120 m on a side. Figure 3.54: Different paths taken by people walking in a city.